Diabloceratops was a herbivore (plant-eater) that lived in North America (its fossils were discovered in Utah) during the late Cretaceous period, about 85 million years ago. In many ways, Diabloceratops was a typical Ceratopsian dinosaur with a neck-frill, spikes and horns - it had two large spikes on its neck-frill, and a smaller horn above each eye. However, unlike some other Ceratopsians, Diabloceratops had no horn on its snout. North American Dinosaurs - Diabloceratops lived in North America. Its fossils were first found in Utah. Diabloceratops was a genus of dinosaur. Diabloceratops was a member of the Ornithischia ("bird-hipped") order of dinosaurs. What this means, is that although Diabloceratops was not closely related to birds, it did have similarly shaped pelvic bones. Diabloceratops was a Ceratopsian - a member of a group of related herbivorous (plant-eating) dinosaurs with beaks, many of which had neck frills and horns as well. Diabloceratops lived about 85 million years ago, during the late Cretaceous period. 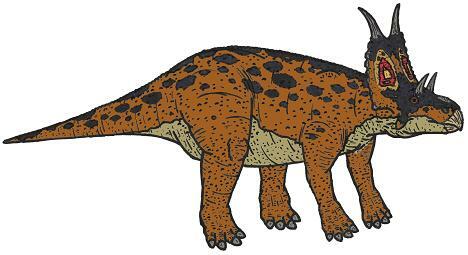 Diabloceratops was a herbivore (plant-eater). Diabloceratops was about 25 feet (7.6 meters) long. Diabloceratops weighed about 1 to 2 tons. Size:11.41 x 11.41 x 5.7 inches. Our polyester fiber lunch bag keeps your food cold or hot depending on your needs.with a small ice pack,it can keep cold for hours, so you can enjoy perfect tasting meals whenever it's time for lunch. Our Lunch Tote is easy to clean,it may be some odors the first use,but just throw it in the washing machine and air it out to dry,the odors will disappear, the colors will never fade and last years. Our Lunch Bags are perfect for packing a healthy meal. Whether you're heading to work or school, having a picnic or heading on a road trip, these soft and stretchy lunch totes will help keep food warm or cold for hours. ANCIENT TRICERATOPS RELATIVE - "Diabloceratops" means "Devil Horned Face." This herbivore lived 80 million years ago, was a close relative of the famed triceratops, and used its fearsome horns and frills to defend itself against predators like the Tyrannosaurus Rex. MADE WITH INDUSTRY-LEADING STANDARDS - Like all Safari Ltd products, the Wild Safari Dinosaur and Prehistoric Life Diabloceratops has been individually hand painted, features quality construction from phthalate and lead-free materials, and includes an educational hangtag in 5 languages. PRODUCT SPECIFICATIONS - Measures 5.7"L x 1.8"W x 3.2"H. For ages 3 and up. “Diabloceratops” means “Devil Horned Face.” This herbivore lived 80 million years ago, was a close relative of the famed triceratops, and used its fearsome horns and frills to defend itself against predators like the Tyrannosaurus Rex. This figurine is part of the Dinosaur and Prehistoric Collection, which was designed for the dinosaur lover in us all. 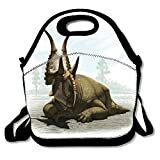 Like all Safari Ltd products, the Wild Safari Dinosaur and Prehistoric Life Diabloceratops has been individually hand painted, features quality construction from phthalate and lead-free materials, and includes an educational hangtag in 5 languages. Realistic, educational, and fun, you can admire it on a shelf, use it in the classroom, or simply enjoy playing with it. Product measures 5.7"L x 1.8”W x 3.2"H. Recommended for ages 3 and up. FUN FACTS: Diabloceratops means: "Devil Horn Face". Diabloceratops had a large neck frill made of bone that bore a pair of very long horns simular to a devil. 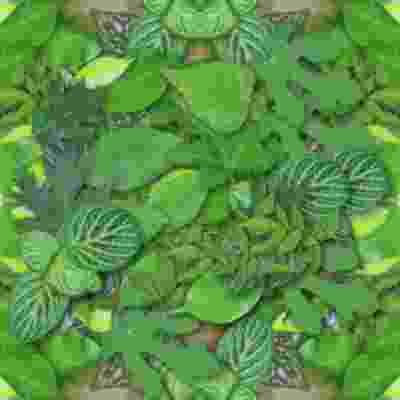 PRODUCT SPECS: Diabloceraops measures 5.71 in L x 1.77 in W and is suitable for children 3 and up. CollectA's replica of the Diabloceratops is detailed and lifelike, down to the stains on its unusual horns and its scaly skin. This dinosaur lived in what is now Utah, approximately 79 years ago. ''Diablo'' means ''devil'' in Spanish and when you look at this creatures curved horns, you can see where the Diabloceratops gets its name. Fossil remains indicate that the Diabloceratops grew to be about 18 feet long. This beautifully sculpted, collectible figure from our Prehistoric Life Collection measures 5.9''L x 3.1''H. The carefully sculpted figure has been approved by archeologist Anthony Beeson, a well-respected expert in paleoimagery. All CollectA models are individually hand crafted to the highest standards and made with the finest and safest materials, guaranteed to be phthalate-free and lead-free. Create a natural world in miniature with high quality toy replicas from CollectA. Our mission is to educate collectors and to provide the greatest opportunity for creative play. MID SIZED MAN: Monolophosaurus was a medium sized theropod dinosaur (about 16 feet long) that lived during the Middle Jurassic Period (about 165 million years ago) in what is now China. he most conspicuous characteristic of Monolophosaurus is the single crest on the top of the animal's head. PRODUCT SPECIFICATIONS: This model is 7.5 inches long and 5 inches high. Like many living reptiles, it is darkly colored (in this case dark brown), with a lighter colored underparts. The Monolophosaurus is part of the Wild Safari Prehistoric World collection. Monolophosaurus was a medium sized theropod dinosaur (about 16 feet long) that lived during the Middle Jurassic Period (about 165 million years ago) in what is now China. he most conspicuous characteristic of Monolophosaurus is the single crest on the top of the animal's head. The first Monolophosaurus skeleton was discovered by a joint Canadian-Chinese expedition to Xinjiang Province of China in 1981. Although a few more partial skeletons have been found, Monolophosaurus remains a rare dinosaur. All Safari Ltd. figurines have been individually hand painted with careful detail. They feature quality construction from BPA, phthalate, and lead-free materials to ensure your family's safety. There's a Safari figurine for everyone in every size. They make excellent craft projects like card holders and ornaments. For parties, you can use them for favors, cake toppers, or decorations. Plus, their realistic design makes them an accurate representation for dioramas and school projects. Let your imagination and creative side run wild with Safari Ltd. This model is 7.5 inches long and 5 inches high. Like many living reptiles, it is darkly colored (in this case dark brown), with a lighter colored underparts. The Monolophosaurus is part of the Wild Safari Prehistoric World collection. 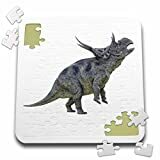 Diabloceratops about to Charge Puzzle is a fun and enjoyable way to pass the time. This 70 piece jigsaw puzzle measures 10" x 10" when assembled and features a back stand for display. Allowing you the choice to leave and display your finished puzzle for hours of viewing enjoyment or to just simply start all over again. Made of a durable coated cardboard featuring a high gloss finish. Recommended for ages 4 and up. Possible choking hazard due to small pieces. 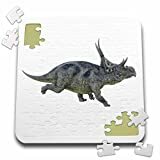 Diabloceratops Charging Left Puzzle is a fun and enjoyable way to pass the time. This 70 piece jigsaw puzzle measures 10" x 10" when assembled and features a back stand for display. Allowing you the choice to leave and display your finished puzzle for hours of viewing enjoyment or to just simply start all over again. Made of a durable coated cardboard featuring a high gloss finish. Recommended for ages 4 and up. Possible choking hazard due to small pieces. 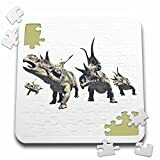 Diabloceratops Herd Charging Puzzle is a fun and enjoyable way to pass the time. This 70 piece jigsaw puzzle measures 10" x 10" when assembled and features a back stand for display. Allowing you the choice to leave and display your finished puzzle for hours of viewing enjoyment or to just simply start all over again. Made of a durable coated cardboard featuring a high gloss finish. Recommended for ages 4 and up. Possible choking hazard due to small pieces. 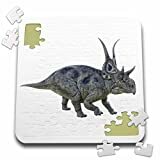 Diabloceratops in Left Profile Standing on Rear Legs Puzzle is a fun and enjoyable way to pass the time. This 70 piece jigsaw puzzle measures 10" x 10" when assembled and features a back stand for display. Allowing you the choice to leave and display your finished puzzle for hours of viewing enjoyment or to just simply start all over again. Made of a durable coated cardboard featuring a high gloss finish. Recommended for ages 4 and up. Possible choking hazard due to small pieces. 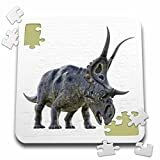 Diabloceratops in Left Profile Puzzle is a fun and enjoyable way to pass the time. This 70 piece jigsaw puzzle measures 10" x 10" when assembled and features a back stand for display. Allowing you the choice to leave and display your finished puzzle for hours of viewing enjoyment or to just simply start all over again. Made of a durable coated cardboard featuring a high gloss finish. Recommended for ages 4 and up. Possible choking hazard due to small pieces.